Located just steps away from your villa or cottage, Firefly Bar and Grill is our on-site restaurant open for Lunch and Dinner daily. Serving up for fresh seafood delights, our specials change daily. If you’re just visiting Elbow Cay for the day and our looking for a delicious place to eat with fabulous views of the Sea of Abaco, we have an ample boat dock with plenty of boat slips just for you and a newly expanded deck to sip cocktails on and listen to music. Call ahead at 1 (242) 366-0145 if you’re bringing a large party so we can accommodate your guests. Reservations are required for dinner. 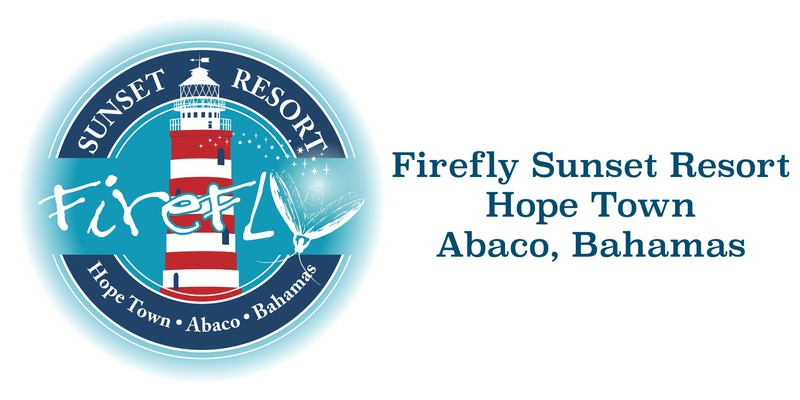 At Firefly Bar and Grill, we’re proud to serve all Firefly products including: Firefly Sweet Tea Vodka and four Sweet Tea Vodka flavors – Lemon, Raspberry, Mint, Peach- Firefly Skinny Tea and Firefly Sweet Tea Bourbon. We’re also proud to serve Sea Island Gold Rum, Sea Island Java Rum and Sea Island Spice Rum. Looking for a sweet after dinner cocktail, we can create a mouthwatering cocktail from Southern Accents Liqueurs with flavors including Peach Cobbler, Pecan Pie and Banana Pudding. We also are proud to serve Firefly Moonshine in all flavors, Strawberry, Peach, Cherry, Caramel, Apple Pie and White Lightning. When you’re enjoying your meal at Firefly, be sure to tag us in your Instagram photos @Fireflysunsetresort or on Twitter @Firefly_Resort and on Facebook!